While typical storage companies vary in the size of their units Spaces makes it easy by offering just one convenient size storage vault to meet your everyday storage need. Our units are conveniently sized at 8ft high x 5ft wide x 8ft deep. Each unit will hold approx 1 to 1.5 bedrooms of belongings and furniture and are comparable in size to a walk in closet. How you pack your belongings will determine just how much your unit will hold. Not sure how many vaults you need? Let us help you. Our experts can advise on your particular storage needs and inform you of the appropriate number of vaults required. More of a do-it-yourselfer? 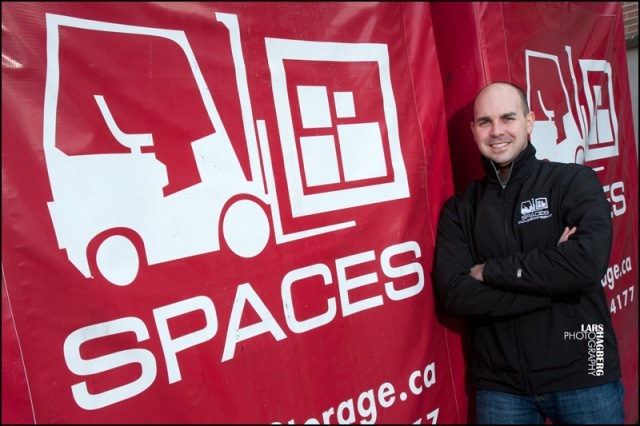 Click here to use our Storage Space Calculator. WE WILL ONLY CHARGE FOR WHAT YOU USE. If you ordered too many vaults we will pick-up the empty vault along with the full vaults on your property and return it to our warehouse with no extra charge!